The paper reflects on an earlier research on the use of technology in secondary mathematics teacher education through the lenses of newer digital tools (Wolfram Alpha, Maple), most recent standards for teaching mathematics, and recommendations for the preparation of schoolteachers. New ideas of technology integration into mathematics education courses have been proposed. The goal of the paper is to show how one can connect mathematical understanding, conceptual knowledge, procedural skills, and the modern day technological competence. Abramovich, S. & Connell, M. (2017). Problem Solving in the Digital Age: New Ideas for Secondary Mathematics Teacher Education. Journal of Computers in Mathematics and Science Teaching, 36 (2), 105-116. Waynesville, NC USA: Association for the Advancement of Computing in Education (AACE). Retrieved April 22, 2019 from https://www.learntechlib.org/primary/p/178277/. Abramovich, S., Fujii, T., & Wilson, J. (1995). Multiple-application medium for the study of polygonal numbers. 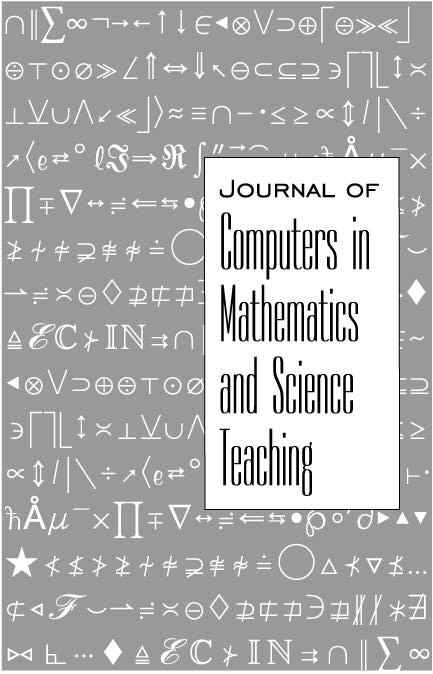 Journal of Computers in Mathematics and Science Teaching, 14(4), 521-557. Abramovich, S. (2014). Computational Experiment Approach to Advanced Secondary Mathematics Curriculum. Dordrecht, The Netherlands: Springer. Abramovich, S. (2015). Mathematical problem posing as a link between algorithmic thinking and conceptual knowledge. The Teaching of Mathematics, 18(2), 45-60. Abramovich, S., & Connell, M.L. (2015). Digital fabrication and hidden inequalities: connecting procedural, factual, and conceptual knowledge. International Journal of Technology for Teaching and Learning, 11(2), 76-89. Archimedes. (1912). The Method of Archimedes. Edited by T.L. Heath. Cambridge, England: Cambridge University Press. Beiler, A.H. (1966). Recreations in the Theory of Numbers. New York: Dover. Common Core State Standards. (2010). Common Core Standards Initiative: Preparing America’s Students for College and Career [On-line materials]. Available at: http://www.corestandards.org. Kennedy, G.E., Judd, T.S., Churchward, A., Gray, K., & Krause, K.L. (2008). First year students’ experiences with technology: Are they really digital natives? Australasian Journal of Educational Technology, 24(1), 108-122. Piaget, J. (1966). Psychological problems of “pure” thought. In E.W. Beth & J. Piaget (Eds), Mathematical Epistemology and Psychology. Dordrecht, The Netherlands: Reidel.